That’s No Moon… that’s a great deal! Star Wars day is almost here – May the Fourth be with you! 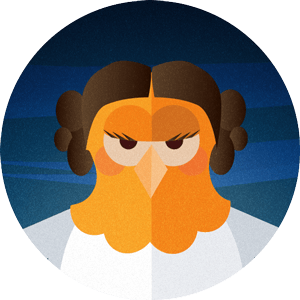 Two things to know about us here at Namecheap: we love Star Wars and we love saving you money on our top-tier products. In honor of May the Fourth, aka Star Wars Day, you can get a .XYZ domain for our lowest price ever — just 44 cents – when you use the coupon code THEFOURTH. Be sure to check out the deals on all our products during this promo too. This sale only lasts from Star Wars Day (May 4) through May 10 at midnight EST, and you may never again see prices this low – in any galaxy! Coming soon to a laptop cover near you: Namecheap stickers. We put KingCOM and his pals on our new line of four limited edition stickers. These won't last long, so be sure to get yours before we run out. These little guys are brand new, so we're asking your help to get them out into the wild. 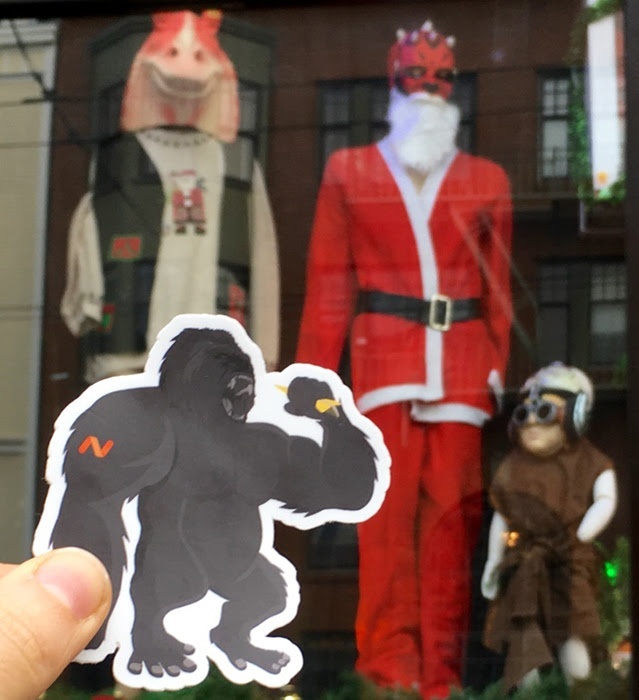 Take a creative or rare pic with your sticker and post it to social media using the hashtag #Namecheap. If we pick up your post, you could win a free domain or one of three $1000 Expedia gift cards. The time is right to go dedicated. If you're ready to upgrade to the latest in top-of-the-line hosting technology at a great price, here are a couple of holiday gifts you'll love. Use coupon code 15%OFF to save 15% on any E3 dedicated server. Use coupon code 30%OFF to save 30% on any E5 dedicated server. Simply enter your coupon code at the point of purchase to activate the discount. Discount applies for the life of your plan. This is a limited time offer, so don't miss out. Place your order soon. Prices valid through December 31, 2015. Enjoy some more year-end savings with these two coupon codes. They're valid through the end of December. As always, thanks for choosing Namecheap. It's our pleasure to serve you. These are the lowest prices of the entire year on all of our products, so don't miss out! See you at the sale. Thanks for choosing Namecheap. We look forward to serving you. Boo! It's .IO Transfer Week! If you've been scared off by other registrars, come trick-or-treat at Namecheap's house. Through October 19, you can transfer your .io domain for the spellbinding price of $24.88. That's the lowest price on the market. You get to keep all time you have remaining on the domain + one more year. Fun-size bars for all! October might be scary, but your site's security doesn't have to be. Namecheap offers a wide variety of SSL certs to ensure your users' information stays secure. Figure out if you need an SSL cert by reading these simple tips. You just bought the domain name of your dreams. Now what? You might want a website-building app. Or maybe you're a developer, and you simply need a hosting package. We've got these two scenarios and every other one in-between covered, with the new Namecheap Tailor. Answer a few easy questions about your digital project, and the Tailor will provide a custom list of what you need to do the job. Click here to try it out. It might be knitting, books, football, motorcycles or nightlife, but there's a club for everyone. And that means there's a .club domain name for everyone. Register yours with Namecheap for the tiny sum of $3.88/first year. That's the lowest annual dues or cover charge you'll ever pay. Get your hand stamped here. Nothing to be afraid of here. These two coupon codes are valid through the end of the month. This month, we're partnering with Tailor Brands to give an online boost to the businesses and NGOs who need it most. Enter the #Brandlove contest to win a free Tailor Brands logo for your favorite small business or do-gooder org that needs fresh new online presence to get the attention they deserve. You'll win one too! Check out Tailor Brands and all the other apps in our app store.